Edited, introduced and annotated by Cedric Watts, M.A., Ph.D., Emeritus Professor of English, University of Sussex. 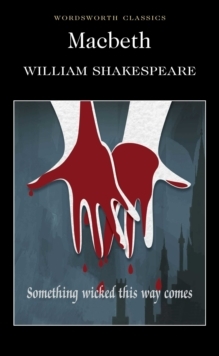 Shakespeare's Macbeth is one of the greatest tragic dramas the world has known. Macbeth himself, a brave warrior, is fatally impelled by supernatural forces, by his proud wife, and by his own burgeoning ambition. As he embarks on his murderous course to gain and retain the crown of Scotland, we see the appalling emotional and psychological effects on both Lady Macbeth and himself. The cruel ironies of their destiny are conveyed in poetry of unsurpassed power. In the theatre, this tragedy remains perennially engrossing.